After months of scandals in sports, politics and society as a whole, the top buzzword of 2018, announced Dec. 3, struck a strikingly positive tone as the year winds down. 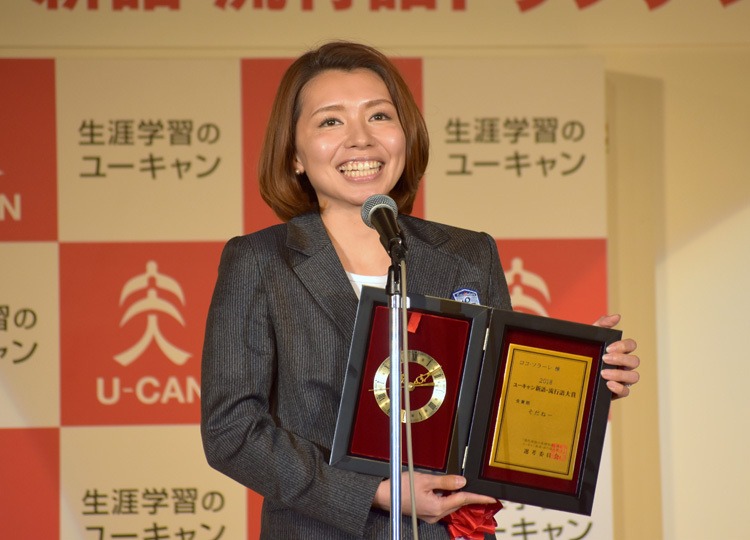 “Sodane” (“that’s right”), which was popularized by the Japanese women’s curling team during the Pyeongchang Olympics and gained them fans on their way to a bronze-medal finish, took home the award for the year’s top buzzword at the 2018 U-Can Shingo Ryukogo Taisho (2018 U-Can New Words and Buzzwords Awards). Linguist Hideho Kindaichi, a member of the selection committee, stressed the word’s organic nature. The buzzwords, selected annually, provide insights into the nation’s social trends, as well as the political, business and sports news of the year. Kang Sang-jung, committee member and political science professor at the University of Tokyo, said this year’s buzzwords — the last in the Heisei Era — evoke feelings of exhilaration, in stark contrast to terms from previous years.